It is spring and home buying is in full swing. According to a Zilllow Research report, sales of both existing and new homes beat expectations in March. Consumer confidence is high and the market is up 14 percent over last year. Demand is also high especially among first-time home buyers, but it doesn’t mean any home will sell or at least not at the price you want. To take full advantage of the market give your house a once over before you list. 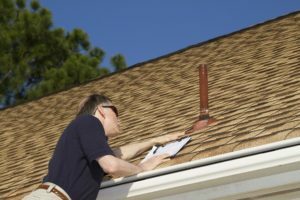 This will not only help your home appeal to buyers it will help make sure there are no surprises when you get your first home inspection report back. A quick inspection now could some you a major repair bill later. Yes, you should still touch up the paint and declutter your rooms but before you start, here are a few general best practices worth your time every spring. Inspect your roof for missing or broken shingles or possible places where water could come in. It is much easier to replace a few shingles now then have the price of a new roof deducted from the offer price. Check your attic or crawl space to make sure that water is not coming in. It is also a good time to see if you need to add insulation to your attic space. The attic is one of the easiest places in a home to add insulation – and a well-insulated attic will score bonus points with energy-savvy buyers. Clean your gutters. Leaves and dirt can build up in any season. Clogged gutters are one of the most efficient ways to redirect water back into your home (see above) – and water streaming over stopped gutters is not the impression you want to leave with potential home buyers. Tune up your air conditioner. It is the prime time for specials from contractors. Making sure that your unit is working properly can help save on utility bills and actually improve your indoor air quality. Plus major replacements are the last thing you want before you move, better to deal with any repairs now. Check your walls and foundation for any cracks that could cause moisture infiltration. You must maintain your barriers. Check the basement for mold and remediate it. When the temperature gets above 41 degrees that is when mold is happy. If mold is present you will be able to smell it. If it smells bad it is bad. If your basement tends to be damp invest in a dehumidifier and run it. Also, seal up any cracks water from which water can enter. Selling your home can be an exciting and stressful time. Take these steps to help eliminate surprises now — then all you’ll have to worry about is the packing. Need help with a repair on your home? We can help you find a knowledgeable contractor you can trust. Plus, builders face new focus on healthy homes and a tip for new home buyers.